Electric cars definitely seem like the car of the future. At this point though, they seem a lot like computers were in the 90s rather than truly viable replacements for your current transportation solution. So how do you combat the admittedly limited technological prowess of the current electric car race? Unfortunately, as of this minute, electric cars aren’t the ideal road trip companion that you gas-fueled vehicle is. Currently, the average charging time the battery on your electric car will require is around an hour. That includes fast charging stations that you’ll find around town. For your home EV charger that you just got installed, it could take all night to pump the air back into that balloon. Even the chief executive of Electrify America, the official Volkswagen apology mission for lying about their diesel emissions, stated he wouldn’t want to drive long distances or stop for two hours at a point on his route. Hearing this from one of the programs installing EV charging stations all over the U.S. is both shocking and discouraging. So where is the silver lining? Why would you bother switching over from your half-electric Prius if these electric cars have the potential to be this difficult? The ever moving wheel of technology promises improvement. While the 10-minute charge time for the battery won’t be around for a couple more years, manufacturers are taking steps to ensure that charging stations are readily available and that battery charging times are steadily decreasing. 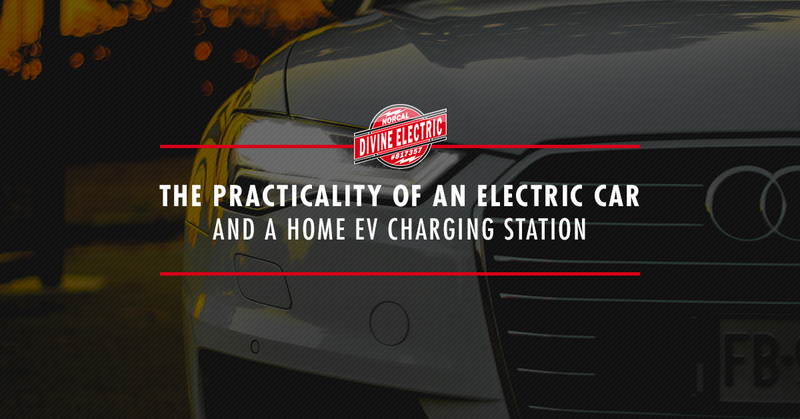 You’ll find two levels of chargers available for residential installation. If you start hunting down an AC-outlet EV-charger installation, you’ll probably find the Level 1 chargers. There are two types of EV charging stations, and Level 1, as you might guess, is the slowest and clunkiest of them all. It rings in at a charging rate of 1 to 1.5 kilowatts of electricity and takes around 30 hours the charge the electric Ford Focus up entirely. That equates to about a range of 115 miles. The other option, the Level 2, can be professionally installed to provide a 240-volt outlet, which is the same voltage as large appliances, to keep them up and running. These heavy-duty outlets can easily put out about 7 to 0 kilowatts and drop that charging time to just around 5 and a half hours. This is mostly because batteries will slow down how they’re filling up once they hit the 80 percent point of charge. You can even find the Teslas power stations that they have dubbed the “supercharger” that delivers a powerful 120 kilowatts of power that will drop that charging time down to 75 minutes and providing 300-mile ranges. With so many charging station solutions going up around the U.S., there will soon be many charging options and quicker ways to make your battery more efficient. But for now, you’ll still need a home base charger that can provide the voltage and charge you need to get you where you’re going. Contact your local electrician at Divine Electric Nocal in Marin County. We’re more than your average electrical contractor — we’re the doorway to a greener, better Northern California.